Haycom is the exclusive distributor of Musion holographic projection technology in Australia. 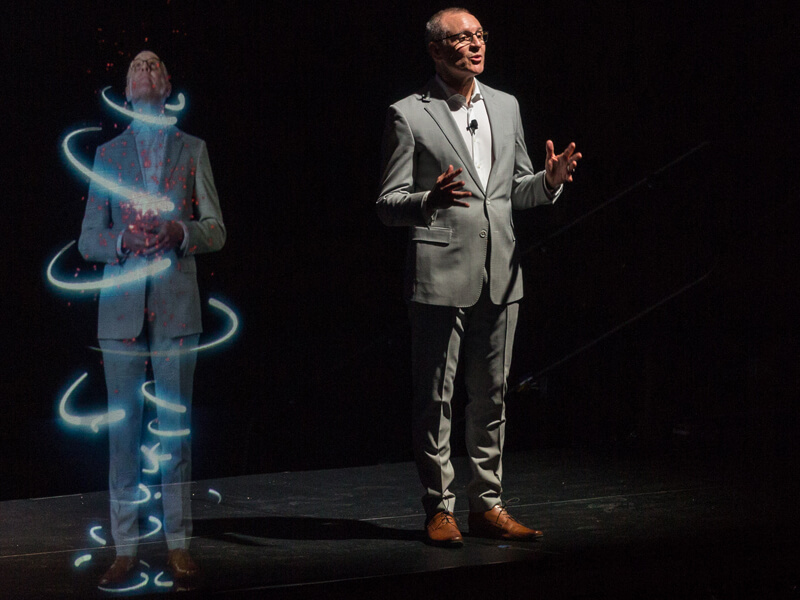 For over 10 years Haycom has been the exclusive license holder of this spectacular hologram product. Clients can take advantage of testing and rehearsing their show content in a custom-built permanent hologram studio at our Rydalmere facility. Be sure to contact us and book a demo.